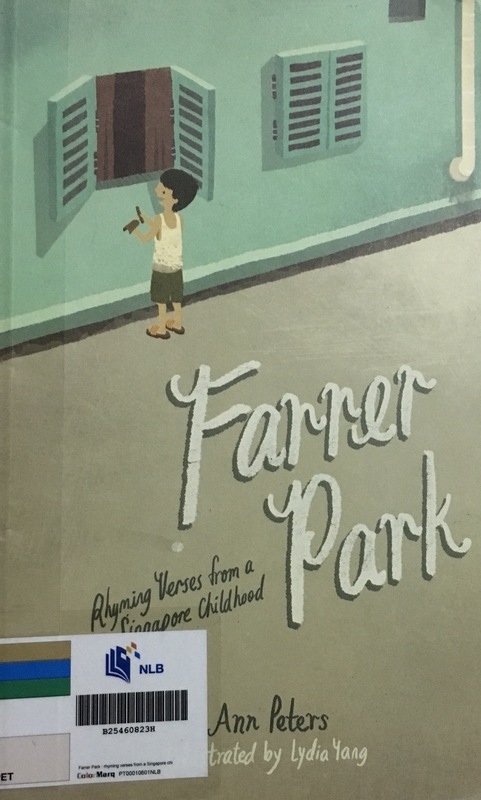 Publisher’s Blurb: In tis charming collection of rhyming verses, Ann Peters tells the stories of her wondrous, carefree childhood in the Farrer Park neighbourhood. 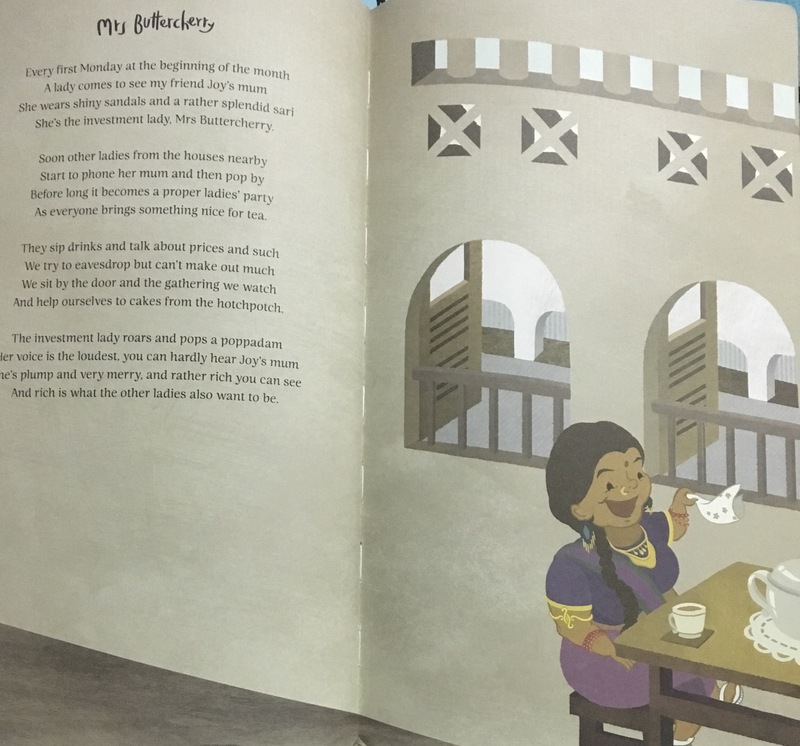 Embodying the spirit of the people and places in the Singapore of old, these poems are imbued with fond memories that Ann hopes to share with children of today. 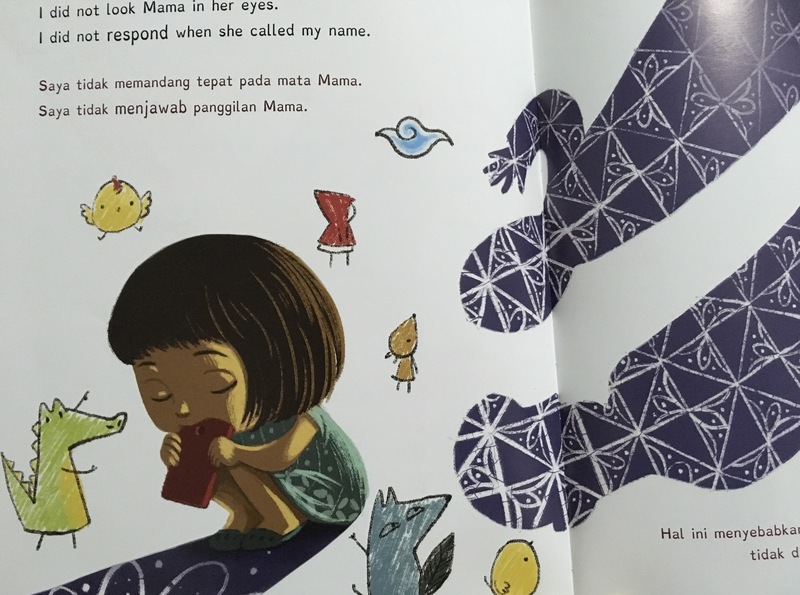 The poems are accompanied by lovely full-colour illustrations by Lydia Yang, a promising Singaporean artist. Brief Review (in under 50 words): A cheery collection of poems about delightful food and people from the past. Might just be a little challenging for younger readers but should still be fun to be read aloud with them. Publisher’s Blurb: Grandma’s eye has gone wonky and Julian is worried. He wants Grandma to get well and to see clearly again. 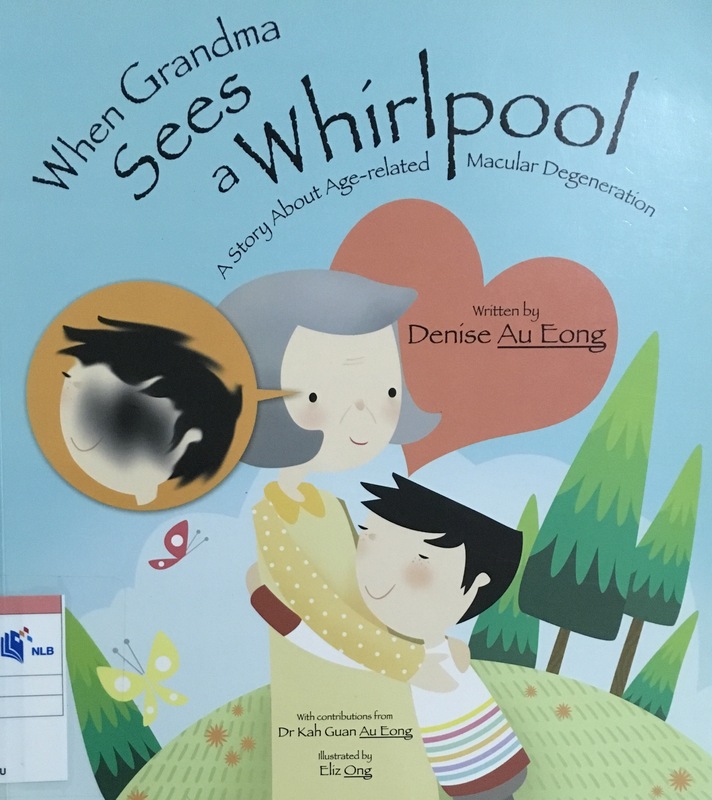 Turn the pages to find out how Julian discovers what is wrong with Grandma’s eye and how a visit to the eye doctor changes the lifestyles of Julian and his family. 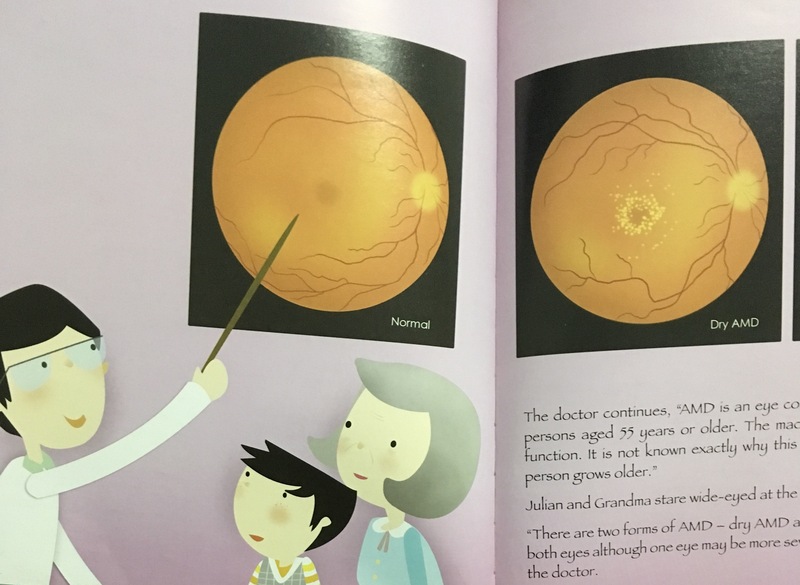 This beautifully illustrated and easy-to-understand book is written with the intention to raise the awareness of age-related macular degeneration or AMD from an early age through storytelling. Although AMD is the most common cause of blindness in developed countries, the awareness of this condition in the community is low. A greater understanding of AMD and its risk factors can encourage people to lead healthier lifestyles that can potentially decrease the chances of developing AMD in later life. The authors hope that this book will go some way to help fight blindness from this sight-threatening disease. Brief Review (in under 50 words): A fairly plain and detailed narrative of going for an eye-examination for AMD. Interesting but could also be overly information heavy. All the same, helpful for encouraging a healthier lifestyle, for young and old. List: My Name is Nadia. I have Autism. Title of Picture Book: My Name is Nadia. I have Austism. 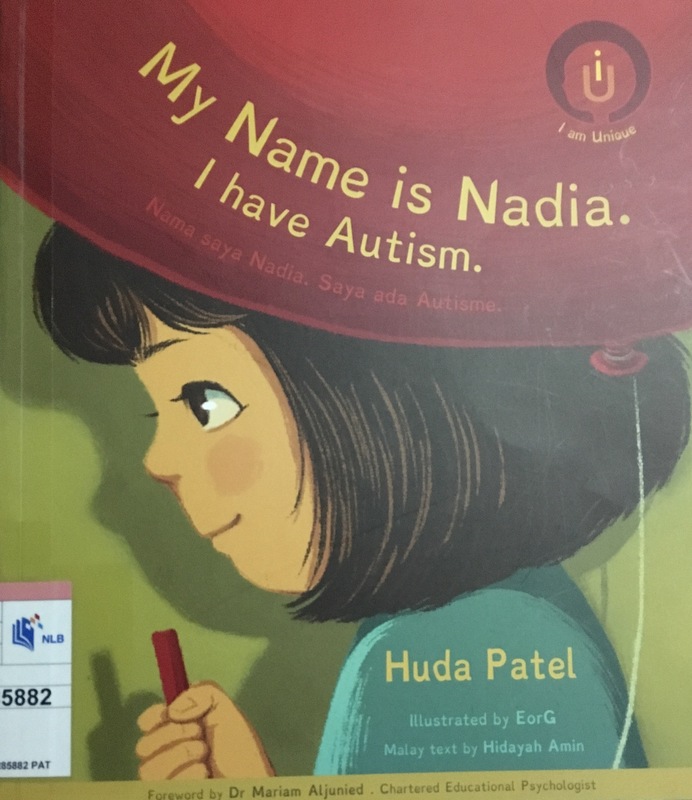 Publisher’s Blurb: Nadia looks like any other eight-year-old girl. She likes to sing and read books. She loves to eat chocolate and play balloons. But Nadia also likes to repeat words and pace around. She dislikes noises as they are often amplified in her ears. Welcome to Nadia’s world. Have you met children with autism like her? Also comes with Malay text. Brief Review (in under 50 words): An attractive book with a fairly straight forward telling of the experience of a girl with autism. More information about autism is given in the back matters.